This tour is currently full. However, we have a waiting list in case someone needs to cancel. If you would like to put your name on the waiting list, please use the booking form below. We’ve updated our 2019 program and now include even more extra activities into the schedule. We now stay 3 night in the dunes, and – contrary to Ryans tour – we stay 2 nights in a private game reserve at the end of the tour. If you want to focus purely on landscape photography, the Namibia tour with Ryan Dyar is a better choice for you. He is an amazing landscape photographer who will make sure you come back with stunning pictures. Please have a look at his portfolio, to see some of the wonderful images he took all around the world. You can also read more about Ryan in our “about” section on this website. This photo tour will bring you all the highlights of Namibia, famed for its hauntingly beautiful scenery and abundant wildlife. 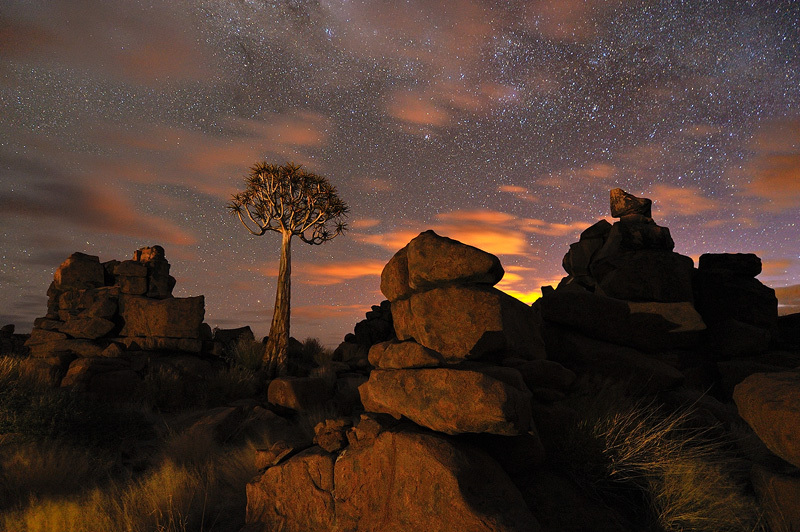 We will be photographing endless desert landscapes, fairytale-like quivertrees and fascinating natural rock formations. 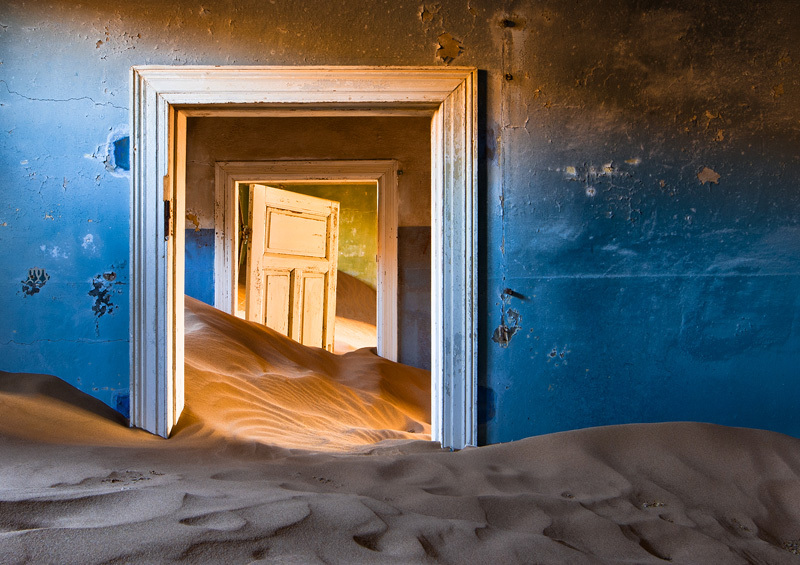 Visit a sand-covered mining ghost town, explore the world’s highest and most spectacular red sand dunes of Sossusvlei, and shoot surreal images at Deadvlei – every landscape photographer’s dream. And we will top it all off with a visit to a luxury private game reserve and its abundant wildlife. A unique combination of spectacular landscape and wildlife photography. 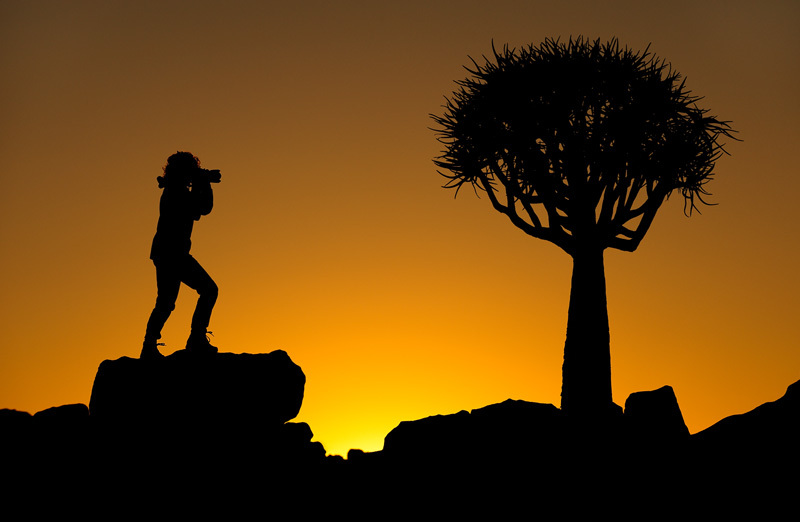 We will photograph quivertrees and rock formations, a sand-covered ghost town, the famous red sand dunes at Sossusvlei and the surreal Deadvlei and watch elephants, zebra, oryx, as well as black and white rhinos at the famous Okaukuejo Waterhole in Etosha. 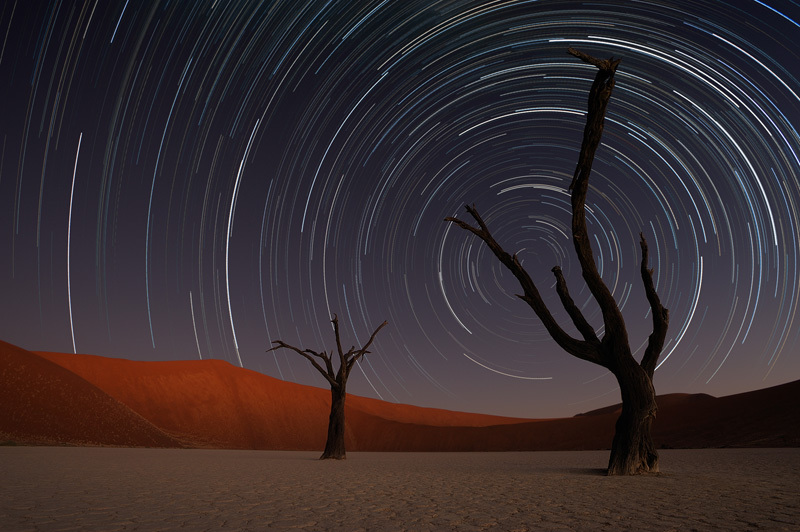 Namibia is the place for night photography, and there will be several sessions where we’ll be shooting the incredible Namibian night skies. 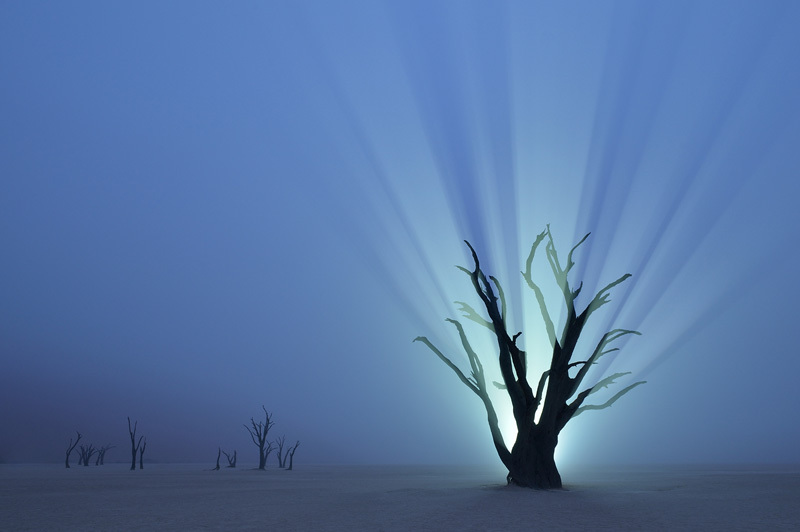 Marsel was the world’s first photographer to create a whole series of night images at Deadvlei, and he was the first to do light painting there. On this tour Marsel will give a dedicated workshop explaining everything you need to know about photographing the stars, star trails and light painting, and he will help you to get stunning results in the field. This trip is suitable for photographers of all experience levels. There will be daily briefings, in the field instructions, raw processing tips, and image reviews in the evenings. You’ll return with spectacular images! In 2017 we will visit our favorite African country for the 16th time. 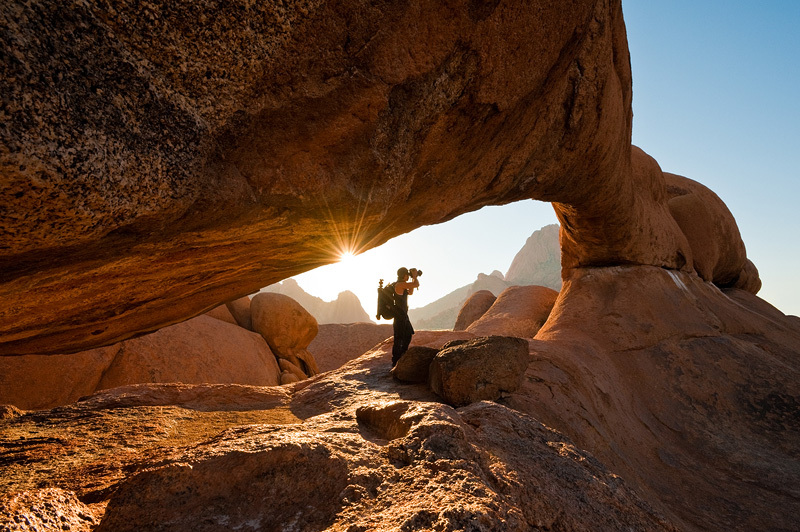 We were the first company to offer specialized photography tours to Namibia, and when Marsel first shared his Namibia images on the internet, most people had never seen pictures of the surreal landscapes before, and some had never even heard of it. Well, that has changed. 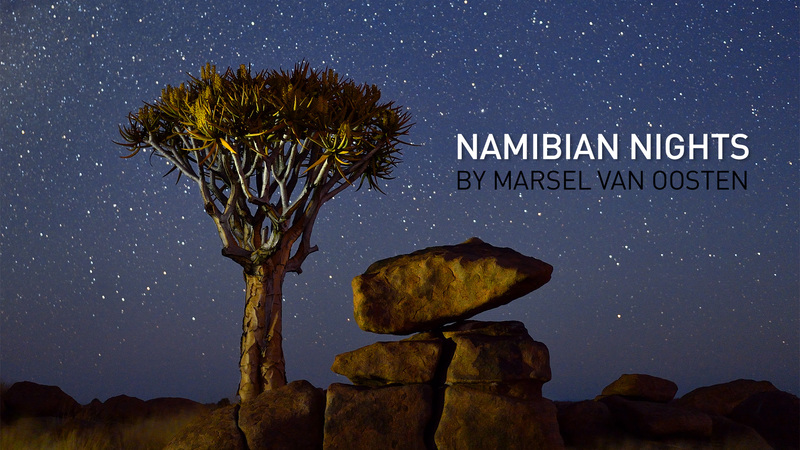 Marsel’s Namibia images are famous all over the world, have won major international awards, and have been published in National Geographic magazine. Our Namibia tour is now, by far, our most copied tour – often the itineraries are an exact copy of ours. So does that mean you can get the same tour elsewhere? No, it doesn’t. 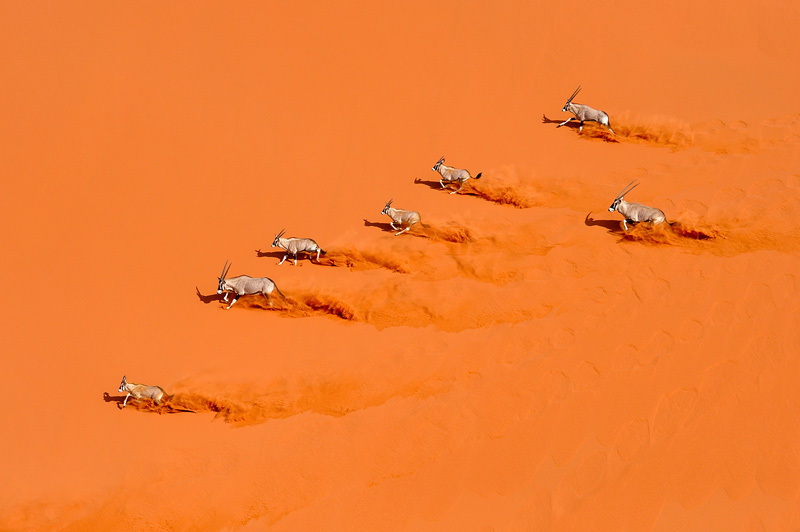 We have travelled and photographed in Namibia for over a decade – we know the country by heart. We know all the perfect spots and the best angles from years of experience and don’t just rely on some local tour operator. And very important: we have a very good relationship with the people in Namibia. This is especially important when you want to visit places no one else does, or when you need special permission to stay out late in places where no one else is allowed to. We are still the only company that is allowed to do night photography in Deadvlei, and we are the only company to offer microlighting – the most effective and most spectacular way to photograph the famous sand dunes. 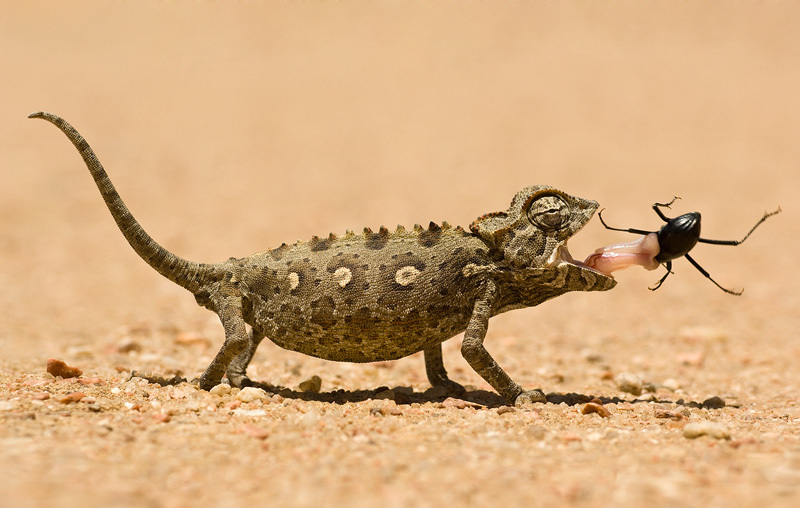 Highly Commended in the Wildlife Photographer Of The Year Awards.